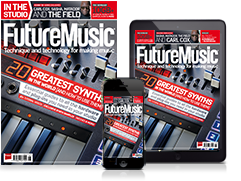 The thick chorus effect on Roland’s early-’80s synths is one that’s fondly remembered, and it’s been emulated in software a number of times. 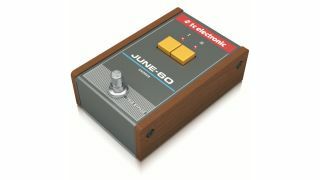 Now it looks like TC Electronic is prepping a hardware pedal that takes its inspiration from this classic processor: the June-60. Reverb reports that this was first shown in prototype form at the Guitcon convention in September. Design mockup images on the Effects Database suggest a product that has that distinctive Juno styling, with controls comprising just a couple of yellow buttons and a bypass switch. As yet, there’s been no official launch of the June-60 by TC Electronic, but we can only hope that a full production version is on the way.